Nashville (and, it seems, everywhere else) can’t get enough of X Ambassadors. The New York group, celebrating the release of their buzzworthy full-length debut, VHS, are headed back to town this Sunday, Nov. 1 for a performance at Marathon Music Works (upgraded from Exit/In), along with Kevin Garrett and Stokeswood. Their third Music City outing this year, and fourth since last fall, X Ambassadors’ mass appeal, top-notch live show, and infectious string of hits makes them worth coming back for time and time again. We suggest you grab your tickers while they last right here, and find out more about the lineup after the jump! Hailing from upstate New York, alt/indie rockers X Ambassadors have experienced a roller coaster of success this year, thanks in no small part to their breakout debut LP, VHS. Originally slated to play Exit/In, where the band passed through in June, X Ambassadors’ demand proved unprecedented, and this show quickly moved to larger space Marathon Music Works, for their biggest Music City headliner to date (and fourth Nashville show in just over a year). Originally called Ambassadors, the band found early success through DIY releases and tours with acts like Lights, boosting them onto the radar of breakout act Imagine Dragons, who helped them land a deal with Interscope (and who would take them on tour soon after). Supporting treks with big names like Jimmy Eat World, The Mowglis, and Panic! at the Disco would follow, positioning the group to find broader mainstream appeal, and with the help of singles “Jungle” and “Renegades,” X Ambassadors have become certified radio staples. Their ascent seems limitless, and we expect them to pop up on plenty of festivals next summer; it’s an exciting time to catch this compelling, poppy, indie/alternative group live! Based in Brooklyn, singer-songwriter Kevin Garrett shares some of X Ambassadors’ more understated, melodic sensibilities, adopting an earnest knack for personal lyricism and a haunting, soulful singing style juxtaposed with sparse, tastefully electronic arrangements on his debut EP Mellow Drama. His music is both modern and timeless, and he’s a perfect choice to compliment this lineup. While Kevin Garrett might share some of X Ambassadors’ melodic, sparse sensibilities, Atlanta’s Stokeswood are more akin to the headliners’ upbeat, full-blown pop tendencies, brandishing a layered, electronic, hook-laden sound that is sure to get the party started right. We’re told their live show is as top notch as their recorded tunes, so we recommend showing up early to see what they’re all about! 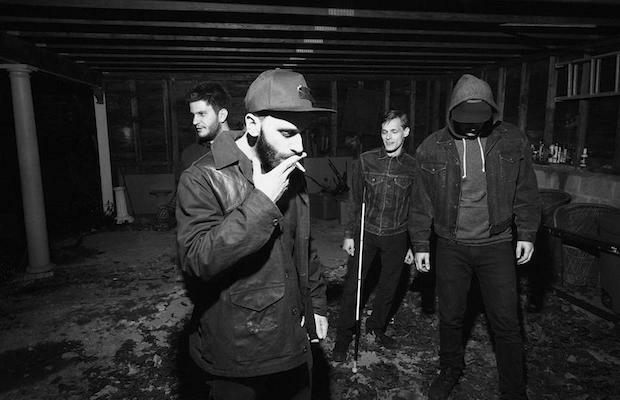 X Ambassadors, Kevin Garrett, and Stokeswood will perform Sunday, Nov. 1 at Marathon Music Works. The show is 18+, begins at 8 p.m. (doors at 7 p.m.), and tickets are available to purchase for $15-18. Soundland is soon, do you have your wristband?